Apple cider vinegar is one of the most popular foods when it comes to natural remedies and do-it-yourself beauty products, but how many of these recipes actually work? 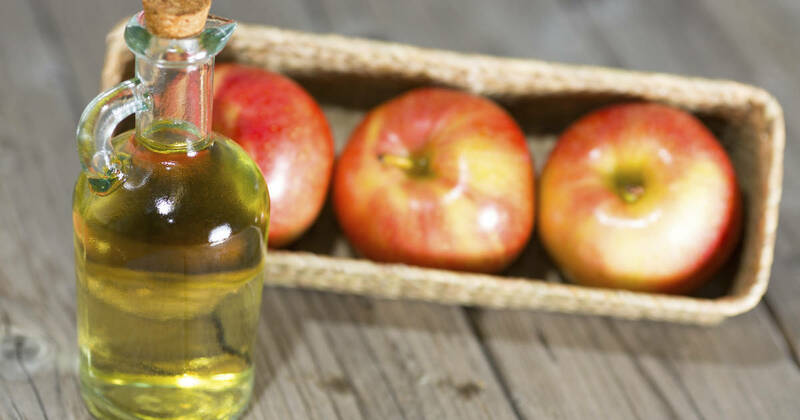 We looked into some of the most common claims about apple cider vinegar’s health and beauty benefits in order to find the real truth about how to use this ingredient in your daily life. There’s no shortage of articles claiming that apple cider vinegar makes a great face wash – many claim that it can help resolve acne problems. Turns out this isn’t so far-fetched. Apple cider vinegar shares many properties with glycolic acid, which is often used in the treatment of acne(1). A diluted apple cider vinegar face wash won’t hurt your skin, and the pH balance of apple cider vinegar is close enough to that of our own skin that it won’t upset your natural pH levels. Make a simple toner by mixing 4 tablespoons of water with 1 tablespoon of apple cider vinegar. Apply to freshly washed skin with a cotton ball. If you aren’t seeing results you can make the mixture stronger by reducing the amount of water or increasing the apple cider vinegar but make sure you do this gradually. The verdict? while there’s no scientific studies on the effects of apple cider vinegar on hair, a quick google search yields tons of rave reviews from natural healthcare blogs. It can’t hurt to try. Mix one cup of water with one cup of apple cider vinegar and pour into a spray bottle. After shampooing hair, spray the mixture over the hair and let sit for a few minutes. Then rinse out.